Dr. David Renter completed his Doctorate of Music in Jazz Composition at the University of Texas at Austin in May 2008. Previously he was Director of Jazz Studies and Instructor of Saxophone at Oklahoma City University. David completed his Master of Music in Jazz Composition at the University of Texas at Austin in 2002 and his Bachelor of Music at the University of Lethbridge in 1998. His previous teachers include Margaret Mezei, Susan Staples, Dr. Jeremy Brown and Harvey Pittel. In the Fall of 2002, David was awarded first place for his big band composition entitled “Closing (Afterthought)” at the First International Jazz Composition Contest in Brussels, Belgium. He was invited to Brussels, Belgium to conduct his piece with the Brussels Jazz Orchestra. The performance was recorded areleased on New Baltic Records. David was also a participant at the 2001 & 2002 Banff International Jazz Workshops where he had the opportunity to study and perform with Joe Lovano, Maria Schneider and Kenny Wheeler. 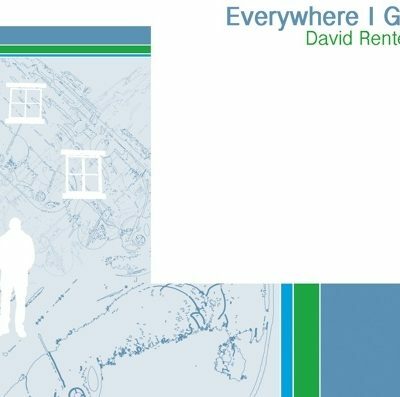 In August 2007, David released his second jazz CD titled “Everywhere I Go” with pianist Chris Andrew, bassist Kodi Hutchinson and drummer Tyler Hornby. The recording features many of his original compositions.